Leading Manufacturer of single ball bearing wheels from Mumbai. Knowing is a renowned organization, we are engaged in offering an extensive range of Single Ball Bearing Wheels. 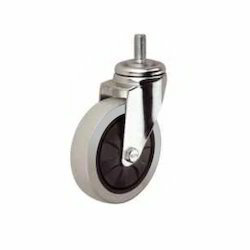 These Single Ball Bearing Wheels are known for their supreme quality and durability. The offered Single Ball Bearing Wheels are widely used in skate board and in various other industries. Looking for Single Ball Bearing Wheels ?